Miyako Island is a small island, but we learned that they have eco-friendly lifestyle. We did survey with 25 students of our school who have been to Miyako Island, and asked following four questions. • Can you give us any examples of ecological activities in Miyako Island? • How can we utilize biomass power generation in Honshu region of Japan? • What are the examples of environmental issues in Miyako Island? • What do you think of the underground dam in Miyako Island? We did this survey to let our students know about the unrecognized issues of Miyako Island. We designed this survey to allow them to be more conscious of such emerging issues. Result of "ecological activities in Miyako Island"
Our first question was about "examples of ecological activities in Miyako Island." We wanted to understand which activity gives impact to visitors. As a result, biomass power generation had the most votes. In Miyako Island due to the fact that most of farms grow sugar cane, biomass power generation which uses sugar cane waste is widely recognized. 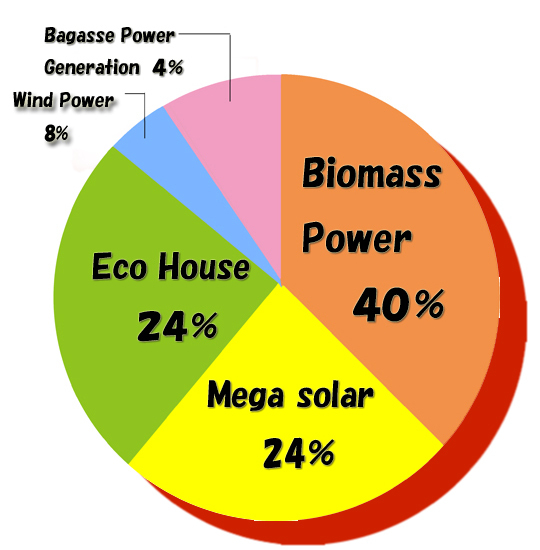 Mega Solar and Eco House also had as many votes as biomass power generation. Both are huge in size and give great visual impact, it is natural that they obtain visitors' mindshare. Other answers were wind power generation and bagasse. 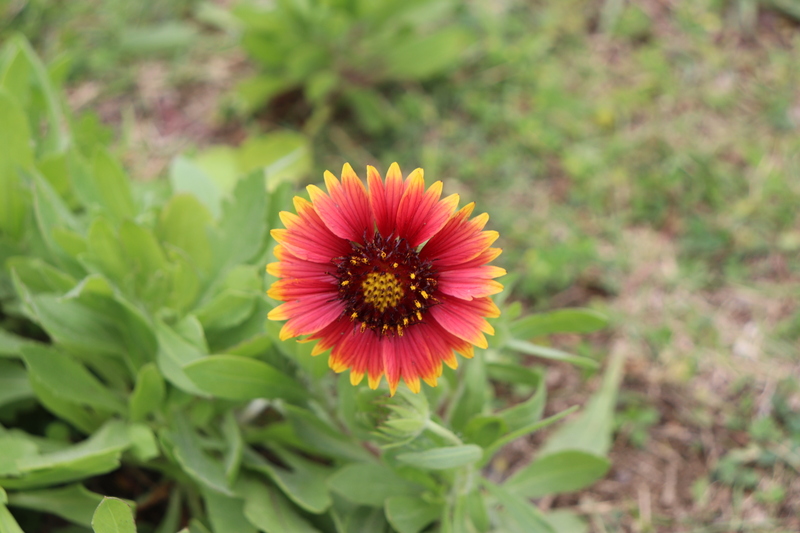 However, these are not the only ecological activities of Miyako Island. There are activities led by local people as well as what we the visitors can　participate. We hope that this website helps more people to know about those activities. Our next question was about "how to utilize biomass power generation in Honshu Japan." Mos of the answers were similar ones. For example, "burn domestic garbage to generate power." It is similar to bagasse power generation, but no different than thermal power generation. Among such answers, there was an interesting idea. It was to burn excrement to generate power. It is usually burned at sewage treatment plant, but if there is a way to generate power at a same time., we could burn waste while generating power. That may be our future. This way, Miyako Island's biomass power generation inspires us to think about new ideas. Result of "environmental problem in Miyako Island"
Result of"environmental problem in Miyako Island"
Our last question was about "environmental problem in Miyako Island".The mast fuguently stated opinious were about garbage of the "sandy beach and opinions called whitening" of the coral.The garbage of the sandy beach seems to be brought into question as I learned it in advance when I visit Miyakojima.In advance when I visit Miyakojima.In addition, it became the topic in a newspaper some people reponted on, but cannot overlook the problem that most of the coral which will support tourism industry of Miyakojima whiten.In addition, reply it in the sad news that the Miyako horse which is the natural monument of the country, dies.Through this questionnaire,it must be undenstand the present conditions of the environmental problem of Miyakojima.The environmental problem of Miyakojima is difficult result.Are neither the power of islanders including the eco-activity nor understanding and the cooperation from the island outside necessary to be improved. How about the your area ?Your area declare Eco?I think your area don't declare Eco are often found.Many problems come out even if they declare Eco island like Miyakojima as they understood it by a questionnaire.That means, more problems seem to surface when they out such an activity in your area of everybody.And, in addition, many people carried out a questionnaire some other time and knew that consciousness about the ecology of the local person work were important to solve a problem.Please think about the area where oneself lives in triggered by this site.Surely should be able to see various things. We learned about current Miyako Island and it allows us to see the future of Japan which is also islands. 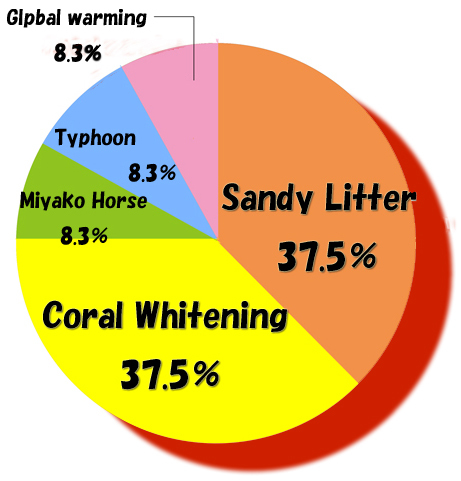 There are many issues in Miyako Island such as bleaching of coral reefs caused by global warming, increasing number of dead fish suffocated by micro plastics, and decreasing population that makes it difficult to succeed traditions. We begin to see these issues in the other parts of Japan. What if these problems occur in major cities like Tokyo or Osaka? Will it change our life? We hope this website encourages you to think about the future of Japan. Miyako Island has reserved its traditions even in the times of conflicts and plagues, and made efforts to protect the beautiful nature while other regions were suffering from pollution. However, such values have been lost with the times and environmental change. Our life has become better and more convenient by the technological development, but the progress also brings us problems. In order to pass the various lessons that the people of Miyako Island have protected on to the future generations, fusion with science is indispensable. 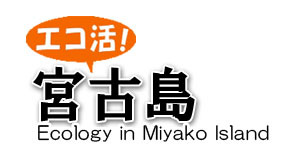 We hope that this website helps you understand the wonderful nature of Miyako Island as well as the importance of "fusion with science." We wish more people will know about the cultures of Miyako Island and help pass them to the future.